For a limited time, buy the Site Boost Bundle to save big on everything, or use the discount code “BLKFRDY18” at checkout to SAVE 25% on all WordPress related products. Are you looking for the right time to improve your WordPress website? Now is the time! 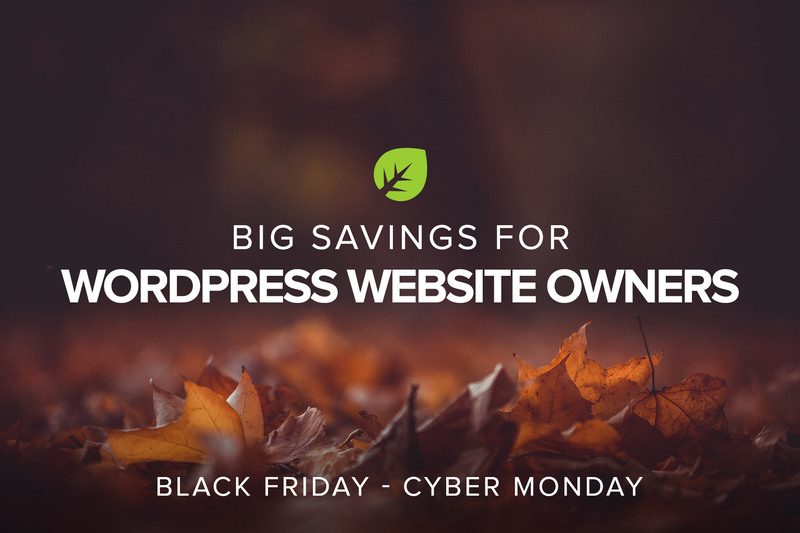 We’re offering an amazing Black Friday through Cyber Monday deal for WordPress website owners. The Site Boost Bundle is a one-time deal, and the only opportunity to save BIG on everything Organic Themes has to offer. Don’t miss this chance to save on all your WordPress website needs! The Site Boost Bundle includes ALL Organic Themes, the new Builder Widgets Pro plugin, and our brand new Site Shield Speed service — all for only $59/month. That’s an annual savings of $618. Site Shield is a personalized service in which we protect, update, and boost your website on a monthly basis. View the Site Shield page to learn more. The Site Boost Bundle also includes ALL Organic Themes — providing access to any of our 38 beautifully designed themes for your website. Our themes are compatible with WordPress 5.0, and many are optimized for the new Gutenberg content editor. Additionally, all themes are fully responsive and compatible with major plugins such as WooCommerce, Jetpack, Gravity Forms, and more. View our WordPress theme collection. We have also released our Organic solution to page-builders — Builder Widgets Pro. The plugin provides 16 custom widgets that can be used within the native WordPress customizer to create dynamic pages. It’s an excellent solution for creating stunning home page designs, landing pages, sales pages, and much more — easily within a familiar interface. The Builder Widgets Pro plugin is also included in the Black Friday Site Boost Bundle! View the builder page to learn more. Not interested in the Site Boost Bundle? No worries. You can still save big! Organic Themes is also offering 25% OFF all WordPress theme and plugin packages. Simply use the code “BLKFRDY18” at checkout to save. View our pricing page to see what package is best for your WordPress website needs. Happy Holidays from the Organic Themes team!